Unpatterned was founded on the principle that there's no singular approach to design. Or life. Everyone deserves great design. Your environment directly affects your mood, your health, and ultimately your quality of life. Unpatterned strives to create spaces that enhance our clients’ day-to-day everyday. Our spaces are one-of-a-kind. We push clients just outside their comfort zone in order to truly experience joy via their interior and the true value of great interior design. Unpatterned is known for the ability to seamlessly work alongside architects and builders to create a custom home from the ground up, creatively offer solutions to tricky existing constrictions, and intuitively mix high and low finishes and furnishings, patterns, and colors all while keeping our clients' personality and lifestyle as the primary inspiration. 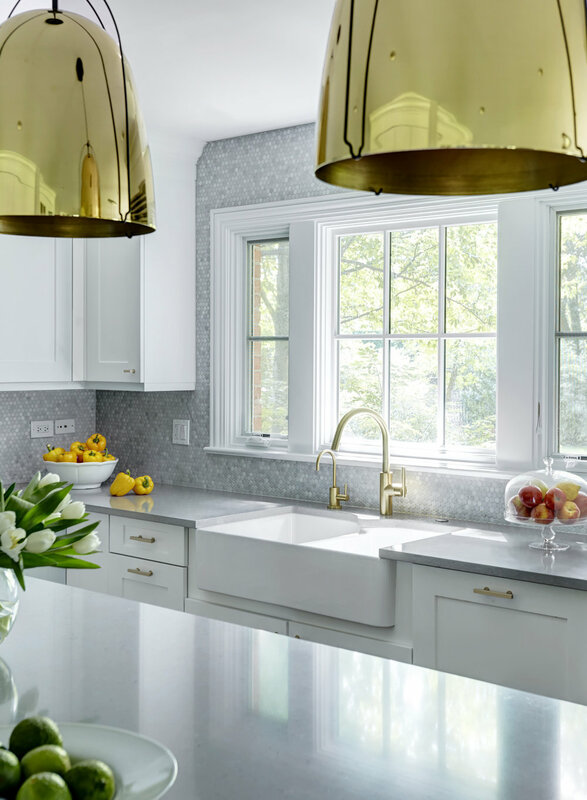 We are a Chicago-based full-service interior design firm taking on new construction homes, residential renovations, and select decorating projects. We service the City of Chicago and near suburbs. Carly Pokornowski Moeller grew up on the South Side of Chicago, takes every opportunity to travel, and never turns down an opportunity to eat. She is a registered interior designer and licensed architect in Illinois with a Master of Architecture from the University of Illinois at Urbana-Champaign. Her past experience in architecture and construction firms provided her with a true understanding of space, construction, materials and aesthetics. Carly believes “classic” doesn’t have to mean boring or neutral, color doesn’t have to be in your face or trendy, and your space is a reflection of yourself. Blasting your favorite album is necessary therapy, every thrift store holds a treasure waiting to be unearthed, and one can never have too many shoes or too much coffee. She was trying to find the perfect combination of all of the above, but has found life unpatterned is more interesting anyway.